The FDNY is cracking down on “escape room” locations across the city over safety concerns following the deaths of five teenage girls in Poland earlier this year, according to a spokesperson. Gaby Acevedo reports. The FDNY is cracking down on “escape room” locations across the city over safety concerns following the deaths of five teenage girls in Poland earlier this year, according to a spokesperson. 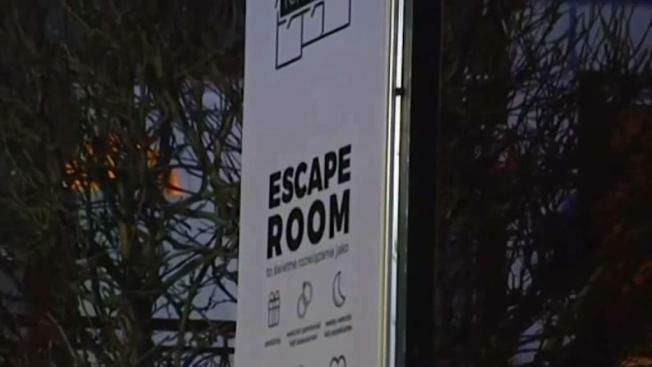 The task force, known as “Escape Rooms in NYC,” has issued seven vacate orders in the city, with four locations being shut down and three partially shuttered, according to an FDNY spokesperson. It has also fined nine locations. In all, 21 violation orders were given to escape room locations in Manhattan, Brooklyn and Staten Island. The reasons for shutdowns and fines range from safety hazards, lack of evacuation routes, fire safety concerns and operating location over-capacity, the spokesperson said. Escape rooms host groups where players are locked in a room and have to solve an interactive puzzle in order to get out. They've soared in popularity over the last year or so. The task force comes after the deadly fire that claimed the lives of five teenage girls in Poland during a birthday celebration on Jan. 4. They died of carbon monoxide poisoning when a fire broke out next to the locked room. All five victims were just 15 years old. They were buried together at an emotional farewell. "In their friendship they were and will remain together," a reverend said at their funeral. "They were together when their lives were ending, they are together here and they will rest together in the cemetery. Forever."